Look at the details and embellishments, isn't this beautiful and glamorous? A full mask like this costs about 50 euros and up depending on the details but how to bring it back because it's made of paper mache? When people ask which is my favorite place in Europe, I always say Rome because there's SO MUCH to see and eat and I had the best part of the trip there because my daughter joined us too. But when I look at my photos of Venice, I realize that if a fairy appeared and grant me a travel wish (yes, a travel wish) right now, I'd choose Venice even though it is the MOST touristy place in Europe. And if I do go to Venice, I will choose to go in winter because that's when "the Grand Canal, shrouded in heavy fog one minute, crystal-clear and luminous the next" and rooftops are dusted with snow, making the city look its loveliest. At least that's what I read in my new cook book, the da Fiore Cookbook. I'd zip from Murano to Burano (both of which my daughter said are 'must-visits' but I didn't have the time) in a traghetto and eat at famous restaurants like da Fiore. I might even throw cynicism to the winter wind and take a ride in the gondolas, nestling with my hub on the red heart-shaped pillows while the singer sings all those classic Venetian songs. Oh, Venice in winter even though I hate winters! Then again, maybe two weeks before Easter is a good time to visit when the Carnival Of Venice is on. 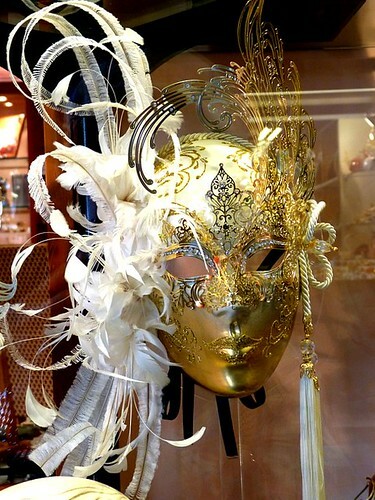 I can choose the most beguiling mask and dress up as a medieval maiden and walk the Venetian streets like all the other carnival folks arm-in-arm with my Raoul/Phantom. Have I told you how much I enjoyed Venice, touristy as it was? 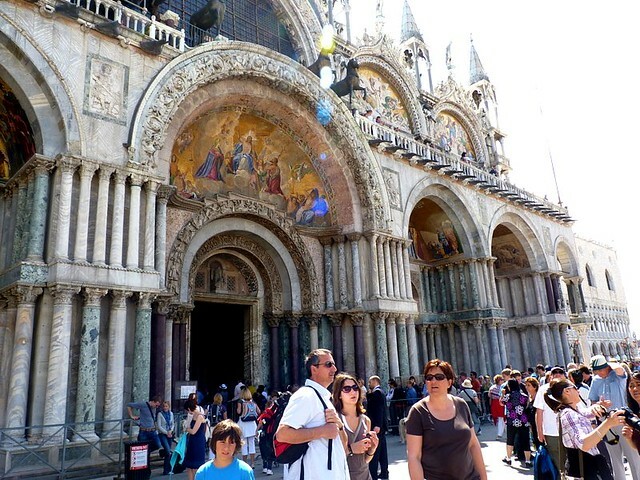 The whole city of Venice is all about tourists and tourism dollars. 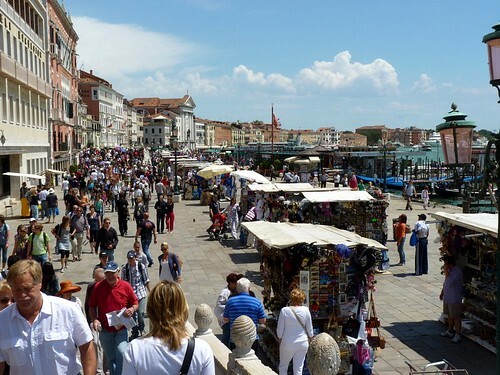 The existence of the city depends on tourists; Venice exists now because of tourists, period. Despite that fact, the city is still magical. There's so much to see and explore. 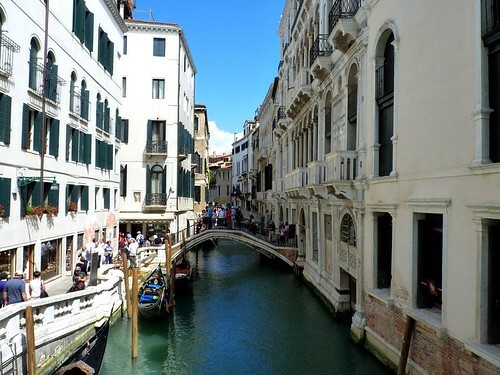 Bridges, canals, masks, leather goods, singing gondoliers, glass art, churches and delicious food. Venice is incredible! You approach the city by ferry, a ride of 15 minutes only. All vehicles are left in a large car park on the mainland. Tourists stay on the mainland since accommodation in the city is too expensive. An entrance fee of 5 euros per person is charged. The buildings are about 1/2 meter from the sea level! 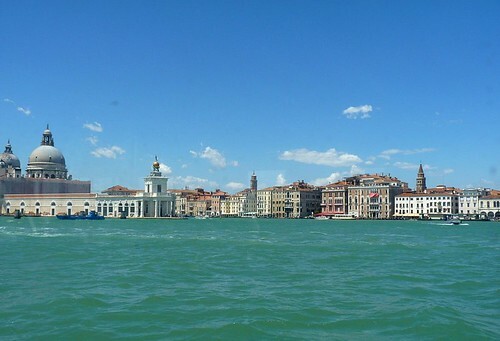 The whole city of Venice sits on piles. The words say "il cielo dei sospiri" (the heaven of sighs), the name of a movie but the real name of this bridge is The Bridge Of Sighs. In the past, prisoners would pass this bridge on their way to imprisonment/punishment and take a last look at the city of Venice and sigh at the thought of never ever seeing the beautiful city again. The Bridge Of Sighs is under restoration but part of it can be seen in the picture. It is a covered bridge made of beautifully carved white stone. 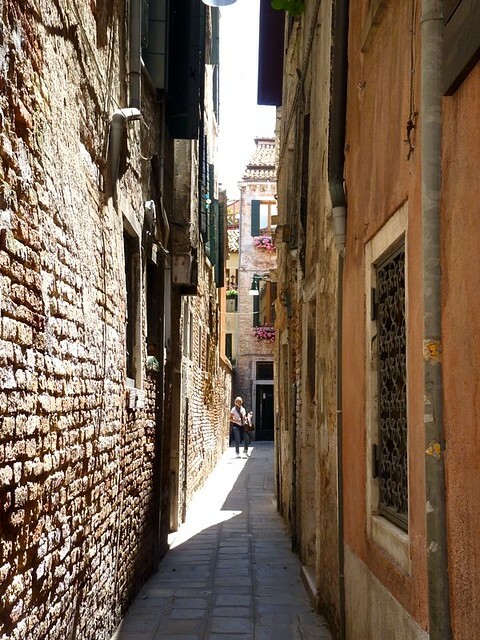 Narrow streets of Venice. In the parts of Venice further away from the square, the buildings were empty and quiet. I sensed a loss, of how the city used to be before its inhabitants left for the mainland leaving the island to invading tourists whose presence necessitated the replacement of the traditional mom-and-pop grocers, butchers and bakers with shops selling cheap souvenirs. 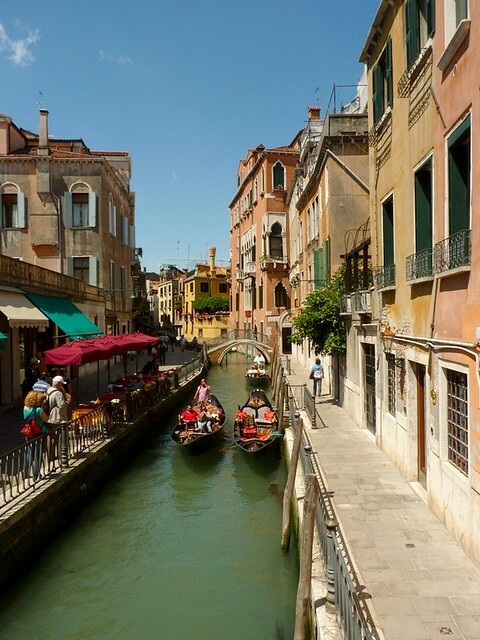 Less than 70,000 people live in Venice. The majority of the people live on the mainland. 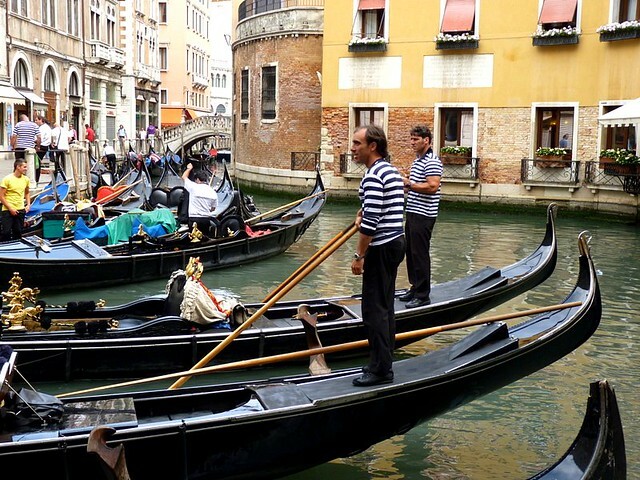 Gondolas are used mainly to take tourists around the main canal. 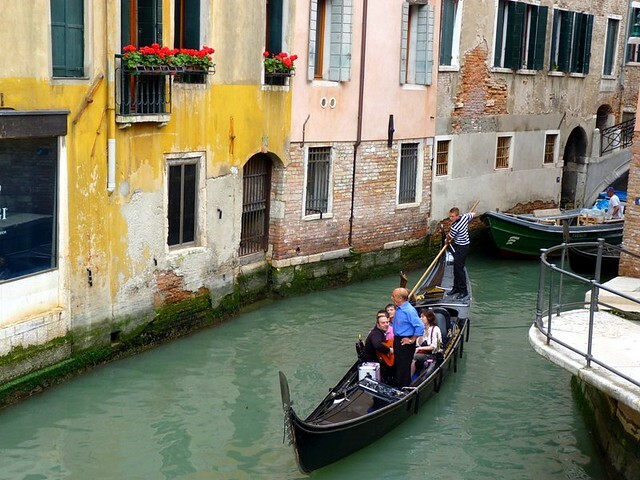 Traghetti are gondolas without the cheesy chairs and pillows for ferrying people within the city. I was horrified that engine-powered boats were also used, mainly to transport goods. Those boats were noisy and I'm sure they caused the canals some pollution. The canal water isn't clear but certainly not smelly as purported. He sang really well and made us smile. It really is romantic in Venice, even in the mid-day sun. Told you. Red heart chairs. I know the gondola ride is like the Holy Grail to tourists in Venice. But I wasn't into riding the boat with 4 other strangers (6 to a boat unless you hire the whole boat). The Chinese tourists though I noticed never passed up any chance to do the touristy thing and all of them opted for the ferry ride and group lunch by the ferry point. 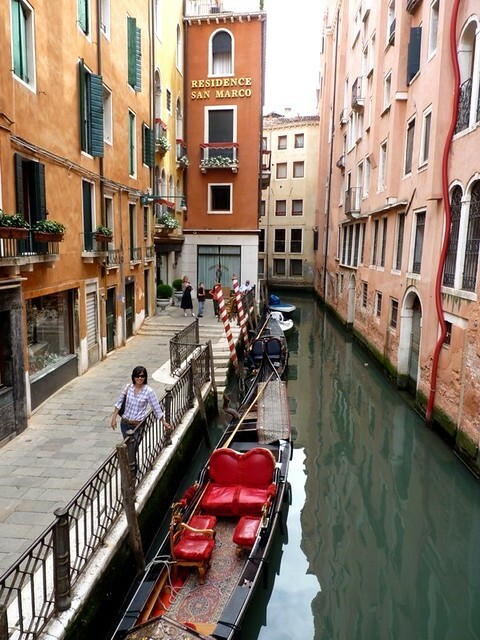 Instead of taking the gondola ride, we used the precious time to explore the city on foot, walking the very narrow streets, checking out the grocers and the quieter streets away from San Marco Square where all the tourists concentrate. 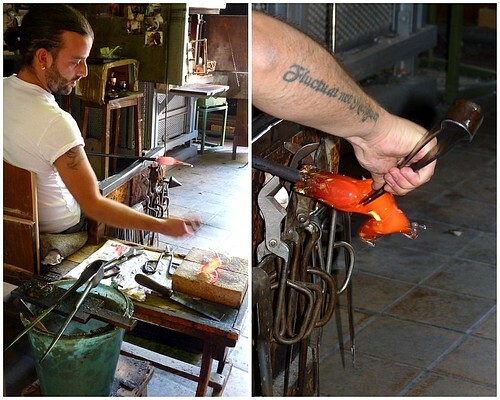 We didn't have the time to go to Murano, one of the 17 islands that make up Venice and famous for its glass so the tour guide took us to the Murano show room in Venice where we watched this gentleman make a glass horse in one minute. I was told to look for glass cherries but the tour guide warned that the majority of the glass objects are from China. 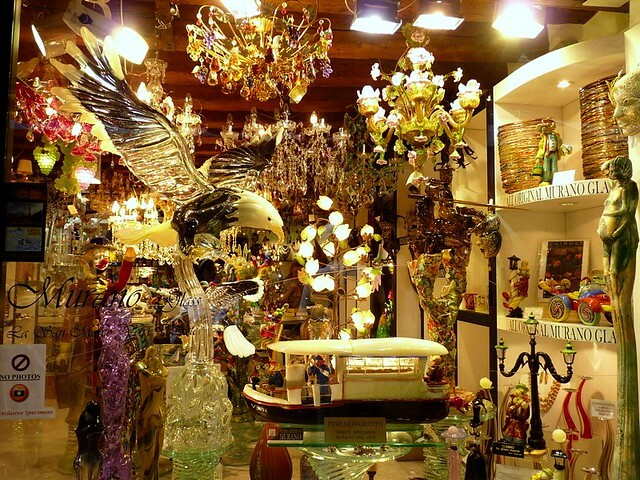 Only the famous names such as Murano is genuine and even then you must buy it in the show room or it's likely to be fake. 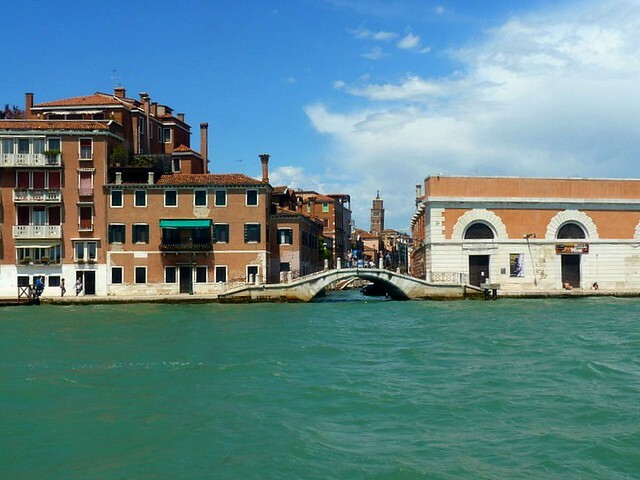 I loved Venice too and for the same reasons. Not sure I agree about Murano/Burano. Am shocked about the glassware. I was there in '07 and there was no mention of Made In China goods. Thanks for the head's up. Hi Terri, agreed! 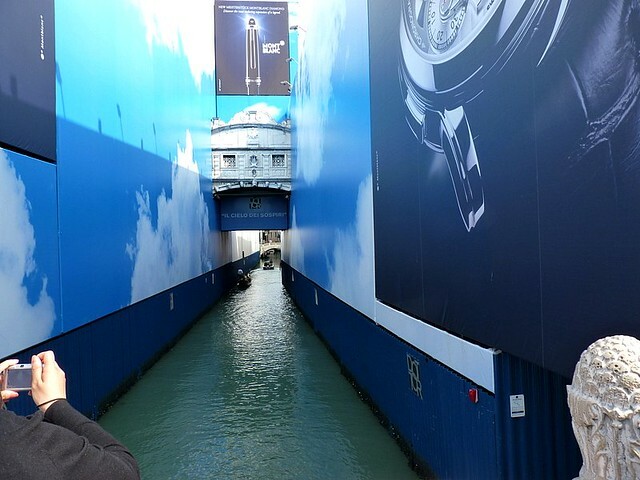 I love touring Rome but Venice is simply... magical~! I wished to go there again too and hopefully not having to wait too long. Great posting sis! Keep it up! GBU. Absolutely breathtaking photos! They look professional you must have a very high quality camera! chopsuey: yeah, it's hard to tell the real frm the fake. anyway if you've bought it, just believe tt it's real. western dental: these photos were taken with a point n shoot, nothing special. some earlier photos of barcelona, southern france n italy were taken with a nikon d90. next time your in Rome i recommend checking out Pompeii, not too far away and fascinating, book here..